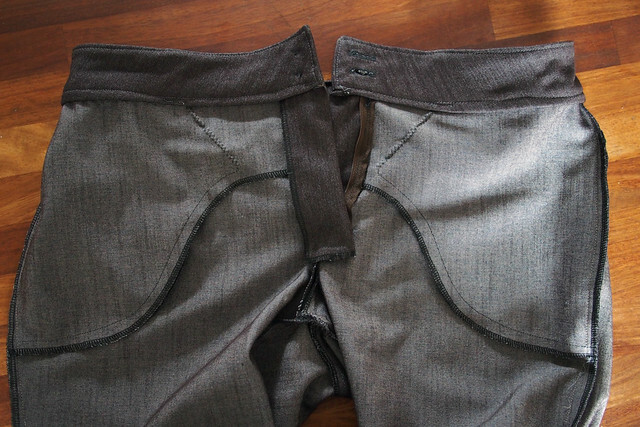 I have the same problem with a pair of pants that I just made. I would love to see how you fix the fit to get rid of the drag lines! 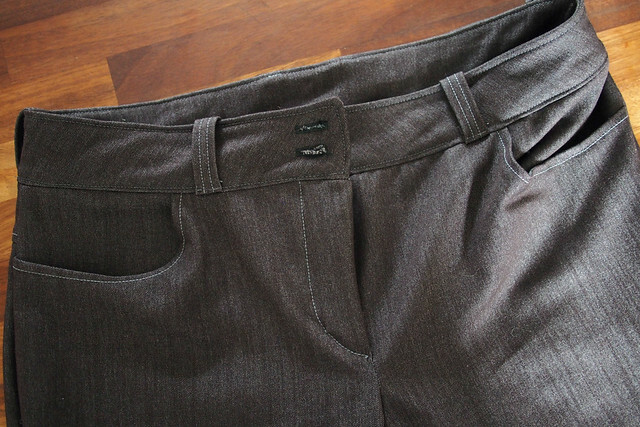 I am hoping to be able to just the fit without recutting the pants and adjusting the pattern. I believe it could be slight bowlegged-ness, for which you’re supposed to make the inseam a little bit shorter than the side seam and/or add a bit of width to the back leg. Or possibly I just cut a bit off-grain and they’re twisting. It doesn’t bother me too much! Great uniform! It looks comfortable and put together at the same time. Mine usually includes a turtleneck as soon as the temperatures drop. I recommend Sandra Betzina’s fly front method. It works great and I wouldn’t use any other. Looks like a great go to look! Oh trousers! I need to start sewing some of them soon too. Looks like you are making progress on your fitting journey! Fabulous outfit, I like the slouchy look of the Coco when made a little bigger, Really works with those skinny jeans. great outfit – I love the material for your Coco – they go so well together. I can’t help with the leg thing really other than to suggest a little extra width in the back leg – maybe… I am about to finish a pair of trousers (my first since I was 17! am now 40something) made from a trouser block from my measurements. Even though I used my measurements I have still had to adjust them quite a bit. 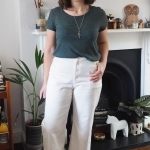 Love the outfit It’s practical and comfortable … The slouchy striped coco is such a must have and I must put one on my autumn sewing list! 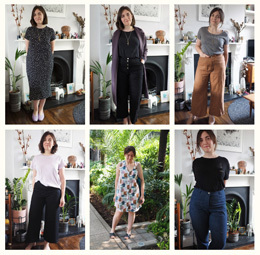 A lovely basic outfit! Your jeans making is unreal! I love your Coco and jeans. I am new to sewing and am planning to make my first Coco top/dress. Did you cut it one size larger everywhere or just at the waist and hips? From the picture it looks like it is fairly fitted in the shoulders and slightly loose in the waist and hips. Thanks! yes you’re right, I had already altered the pattern to grade to a smaller size at the shoulder/bust – typical adjustment for me as I am smaller there! That top looks deliciously comfy. Good work on the jeans,the fit looks really good from where I’m sitting. 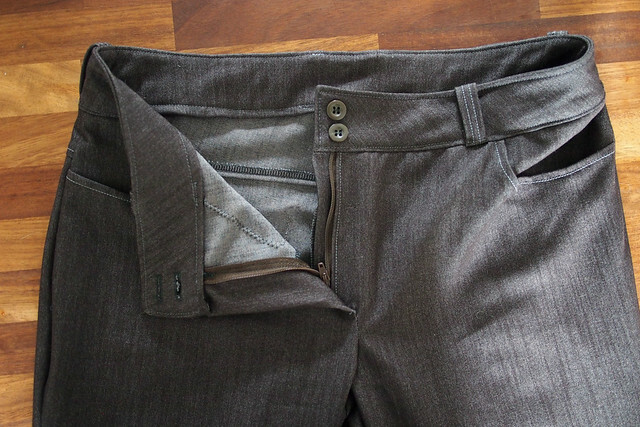 I guess with fitted pants it’s always hard to get the fit right since every fabric has a slightly different stretch. I’m meaning to embark on my own fitted pant adventure, wish me luck! Yeah you’re right there! A bit of stretch definitely helps with fitted pants though. Good luck! looks like a perfect fall outfit! 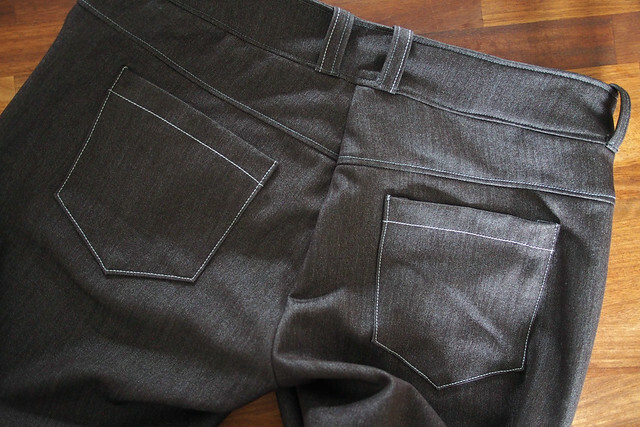 love the striped knit you used, and the minimal topstitching on the jeans just gives them a dressier look i think. i need to make more jeans too, i wish it weren’t so hard to find the right fabric! Great outfit! I am in awe of your jeans! These look great! I totally thought this post was just for the top and that you were wearing RTW jeans in that first pic! Awesome job on both pieces! I love the drapey pocket detail, so fun. 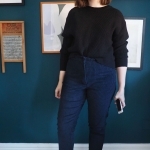 Cute outfit – those jeans look really good! Your coco looks so great! Mine didn’t work out at all—twisty sleeves that were way too lose and the neckline made my chest look huge for some reason. Maybe I just made up the wrong size, because yours looks like something I want to wear everyday! Or maybe it’s the fabric? Either way, super cute fabric, and those jeans look like they fit you REALLY well!